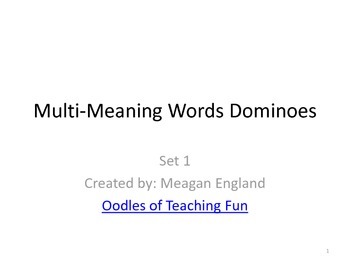 This set of dominoes is great for learning multi-meaning words. 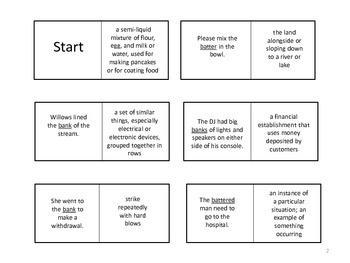 Students match the the word being used in a sentence to the correct definition. The words in this set are: batter, bank, case, against, & bluff. 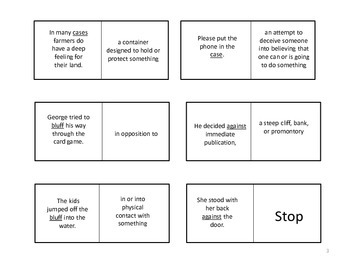 This can be used in groups, pair, or individually.